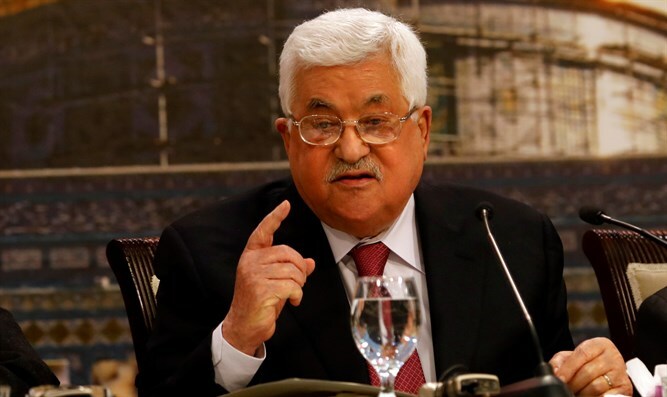 PA condemns Israel for airstrikes in Gaza, but doesn't condemn rocket attacks on Israel. The Palestinian Authority Ramallah-based cabinet on Wednesday condemned what it described as "the ongoing Israeli escalation against our people who stand firm in Gaza, which is under siege." Yusuf al-Mahmoud, a spokesman for the PA cabinet, claimed that Israel was using a policy of collective punishment by imposing a siege on Gaza and bombarding civilians, homes, schools and property with destructive weapons and carrying out "despicable crimes against helpless residents." Mahmoud added that the continued escalation in Gaza is part of the overall escalation in "our entire country Palestine" and is not being carried out separately from the escalation in Judea, Samaria and the occupied city of Al-Quds (Jerusalem). The statement, which followed a rocket attack by Gaza terrorists on the city of Be’er Sheva, failed to mention or condemn rocket attacks on Israeli cities. Two rockets were fired in Tuesday night’s attack, one of them hitting a home in Be’er Sheva and the second falling into the sea. The IDF retaliated by attacking 20 terrorist positions across Gaza, killing at least one terrorist.